Pakistan, India's arch rival and China's most powerful ally in Asia, has announced its first ever joint military exercise with Russia will take place later this year. The small scale military exercise named "Friendship 2016" will involve only 200 military personnel from both sides. Pakistan's Ambassador to Moscow Qazi Khalilullah described the exercise as the first time the militaries of both countries will hold a joint military drill. The name Friendship 2016 itself is ominous, suggesting a growing of the military relations between both countries that before were bitter Cold War foes on account of the Soviet Union's invasion of Afghanistan. The announcement of the Pakistani-Russian war game quickly follows on the heels of reports India and the United States will hold their "Yudh Abhyas 2016" joint military exercise from Sept. 14 to 27. This drill will be the twelfth staging of this joint exercise hosted alternately by India and the U.S. It will take place at the settlement of Chaubattia in the Almora District of Uttarakhand State in northern India, which shares a long border with China. The Pakistan-Russia war game comes amid increasing defence ties between Moscow and Islamabad and as Pakistan considers buying Russian warplanes. Khalilullah didn't reveal any details about the nature of the exercises, where it will take place and when. He did, however, state this historic event was a reflection of the increased cooperation between the two countries. "This obviously indicates a desire on both sides to broaden defense and military-technical cooperation," he said. Over the last 15 months, the chiefs of Pakistan's Army, Navy and Air Force have traveled to Russia to bolster military-to-military ties. The high-level exchanges between the two nations resulted in a deal in Aug. 2015 for the sale of four Mil Mi-35 heavily armored ground attack helicopter gunships to Pakistan. The formal agreement was considered a major policy shift on the part of Pakistan following the growing strategic partnership between the U.S. and India. Analysts said Pakistan wants to boost its ties with Russia to diversify its options in the event its relations with Washington sour any further. 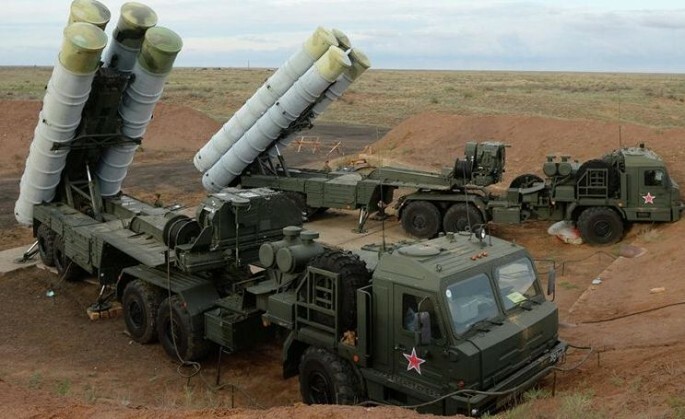 Just last week, Maj. Gen. Naveed Ahmed, Director General of Defense Procurement Pakistan, said the Pakistan Armed Forces has a keen interest in Russian air defense systems, tanks, arms and ammunition. Gen. Ahmed led the Pakistan delegation on the Army-2016 in Russia that ended last week. "Our army services are (showing) keen interest in different Russian products," he said. "We are looking for the air platform; for any sorts of helicopters. For the army, we are looking for tanks. We are looking for anti-tank weapon system and more importantly we are looking for the air defense system."